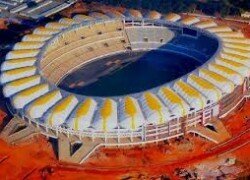 Fans have described government’s naming of Lusaka stadium under construction as ‘Gabon Disaster Heroes Stadium’ as a disaster and have threatened to petition President Sata for naming the stadium without consulting major stakeholders. And Chipolopolo Soccer fans Association (CSFA) patron William Harrington has vowed never to watch any football matches at the Disaster stadium unless government rescinds its decision and gives the stadium an appropriate name. Harrington said he was disappointed that cabinet decided to ignore the proposed name of ‘30 Heroes Stadium’ and opted for the disaster name which he said was reminding the fans of the disaster instead of honouring the heroes. “The name itself is a disaster. We should be moving away from memories of the the disaster but cabinet has decided to remind us of the tragedy by naming a new stadium a Disaster stadium. It is unacceptable” he said. The naming of the Lusaka stadium has been received with mixed reactions from the general public including the Football Association of Zambia (FAZ). Several fans interviewed expressed disappointment with cabinet’s decision with others saying the name itself was not only unacceptable as it associated the wonderful structure with the tragedy but mouthful. FAZ president Kalusha Bwalya twitted that he would have preferred to have the stadium called ‘the Heroes stadium’. ‘The Newly built stadium in Lusaka can just be called ‘Heroes Stadium’ , that’s just me thinking aloud,’ Kalusha tweeted after receiving suggestions from fans on his account. “Because ‘Heroes’ meaning the class of 1993, 1974, class of 1994 and more importantly the 2012 AFCON winners”, he further stated. FAZ spokesperson Eric Mwanza acknowledged that the fans reacted negatively to the name put up by the government adding that he was yet to receive or read positive response on the naming of the 50. 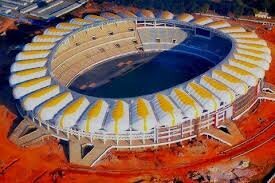 000 set stadium. “How can anyone in his right frame of mind name any building or road in Lusaka or indeed Zambia as Gabon? We should be celebrating the lives of the heroes and not reminding us of the tragedy.” Harrington said. And Pastor Peter Makembo has said that Zambia was not short of names and wondered why Gabon was being included in the naming of the stadium. ‘Why Gabon? Cabinet should urgently change the name to Heroes stadium instead of inviting tragedy on themselves’ he said.